We only have a 7 bbl brewhouse with 5 fermenters at our current location. This means that we can only make 14 kegs of beer at one time. Many batches, we actually yield less then that. With nicer weather here, our taproom is becoming more crowded and priority goes to people actually coming to GNB in person to experience our brewpub. We want to make sure people can try our beers while they are freshest – on draft at our pub for at least a week. 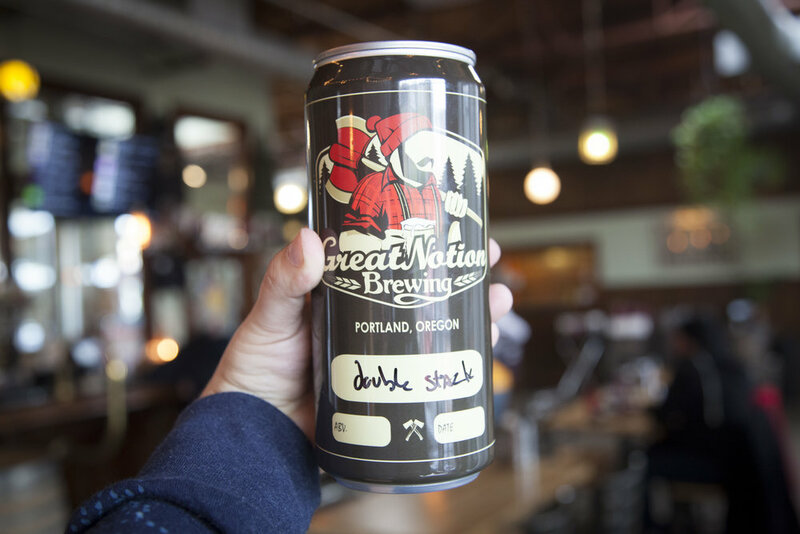 If we made more than 2-3 bbls worth of Crowlers, it would run out in days and then our regulars and people making GNB a destination visit would lose out. We do releases at lunch vs dinner and on weekdays vs weekends because it is more efficient for us service-wise. Our brewpub is already pretty busy on weekends and at night and if we added a Crowler release to it, it would be too chaotic for customers and for our staff. Our pub is also very small, if you haven't been in here in person, it's only 1,500-2,000 sq ft or so and there's occupancy limits we have to watch for. Some people say we are limiting Crowlers on purpose to increase demand. See #1. Again, we only have a 7 bbl brewhouse and are increasing in popularity. We want to keep more than just 3-4 beers on draft for when customers visit in person, so therefore we have to limit Crowler sales. We can either sell more Crowlers or more draft. For the people actually visiting us in person, we want to make sure they can taste 5-10 beers that we make ourselves. Ideally, a couple of sours, a few different IPAs and a stout or 2. If we constantly sold Crowlers of Double Stack , JB, Junior, or Blueberry Muffin, then when you visited GNB in person you wouldn't be able to have a fresh pour of it. We like to keep those on draft and try our best to do so! Regarding our new 30 bbl brewhouse, we are making progress on permitting and hope to break ground this month. We have already received our federal TTB approval and should receive OLCC this month as well. Once we break ground, we need 3-5 months for general construction, tank construction and installation. We are hoping to start brewing and canning beer (16 oz cans; customers will be able to buy 4 packs and even whole cases) by early fall (phase 1) and then open the new taproom and restaurant by end of year (phase 2). Thank you very much for your continued interest in Great Notion and Happy Early Mother's Day to all you Mom's out there! "With a passion for hops, and the patience for sours"